Over the years we’ve been conditioned to think that giving birth is such a complex and risky procedure that it MUST be performed in a hospital. But the truth is hospital births are a relatively new phenomenon that has developed over the last hundred years. According to the US Center For Disease Control And Prevention (CDC) almost all births occurred outside of a hospital prior to 1900 in the US. By 2004 only 0.87% of US births were out of hospital – that’s less than one in a hundred births! In 2012 1.36% of all US births were out of hospital – including over 35,000 births that took place in the home. After declining for over 100 years, why then are home births on the rise? 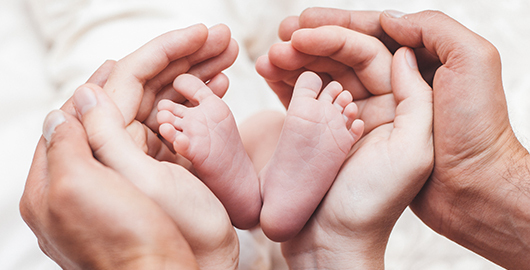 While many mothers-to-be firmly believe that a hospital birth is an absolute necessity, there is a growing trend towards out-of-hospital births in general and home births specifically. If the expectant mother and unborn child are both in good health, the chances of a safe and successful birth in ones own home are remarkably high, given a good midwife and proper planning. Give Birth In Your Comfortable Home! Your home is comfortable. Rather than needing to travel to the hospital while you are in active labor (usually at the worst possible time), a home birth allows your labor to proceed naturally, comfortably in your own surroundings. You are not required to follow the hospital’s protocols; instead, you get to create your own birthing routine. You can eat while in labor! Many hospitals prevent you from eating while in labor. Home birthing allows you to have something to eat or drink whenever you want. During labor, you expend a lot of energy. Eating can help replenish your energy stores. Hey – it’s your own home- eat when you need to. You do not need to worry about unnecessary medical interventions. You will not be subjected to constant fetal monitoring or IVs that tie you down and keeps you from moving around. Additionally, no one will give you any drugs to help speed up or start your labor. You can go through labor and delivery in any position you want. Unlike a hospital that requires you to give birth in a semi-sitting position in stirrups, you can walk around, lean against the wall or any other position that is comfortable. You can give birth standing up, or squatting, and in the room that is most comfortable to you. Your child is born in his or her own home, not a cold hospital filled with germs. Hospitals are filled with people who are sick. It is common for mothers and infants to get sick during their stay in the hospital. At home, you will only be subjected to the germs that are already present in the household, thus decreasing the chance of getting sick. A home birth allows your labor to progress naturally without being interrupted by travel, strange surroundings or excessive medications. During this natural progression, your body is flooded with hormones that are essential to the bonding of mother and baby. Furthermore, your baby will stay with you following the birth rather than being yanked away for testings and such. Both of these things help mother, baby, father and any other children begin bonding with one another. Finally, the baby will not be subjected to the constant ultrasound waves of a fetal monitor, the germs in a hospital and the medications often used during delivery, including pain medications, etc. Finally, you will be allowed to provide your body with the nutrition and comfort you need during the labor and delivery process.